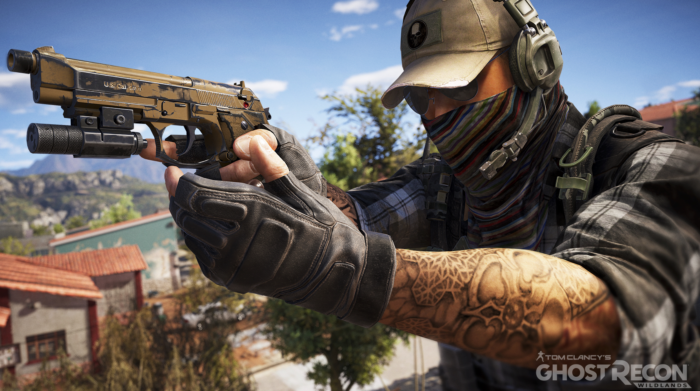 While most combat situations in the Ghost Recon Wildlands Beta can be tackled in a number of different ways, it is generally a good idea to prepare for any unforeseen scenario beforehand. What this entails is knowing what weapons better suit you and your friend’s playstyle, and preparing all of your loadouts accordingly. Not all situations require the Super Shorty shotgun, and knowing when to swap it out, with say a silenced MP5, can mean the difference between completing and failing a mission. It is also a good idea to keep at least one of your three weapon slots reserved for a silenced weapon anyway, as you never know when the need to be stealthy might suddenly arrive. The game requires you to constantly adapt to the evolving needs of the situations, and as such, provides players with a very large arsenal of weapons and tools at their disposal.